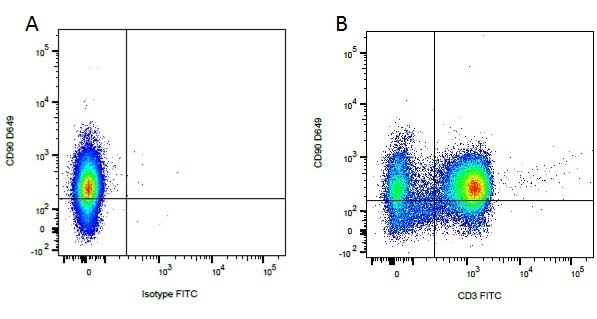 Western blot analysis of CD107b on J774 cell lysate probed with Rat anti Mouse CD107b (MCA2293) at 1/500, 1/1000, 1/2000. Rat anti tubulin alpha (MCA78G) is included as a loading control. Detection is with Goat anti Rat IgG:Dylight® (STAR71D800GA). 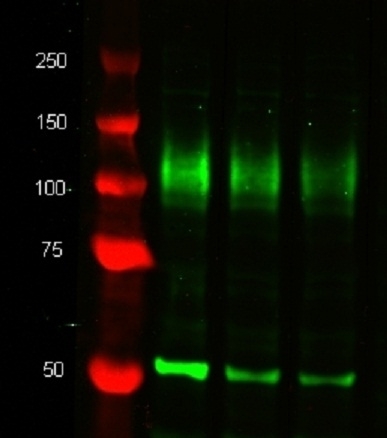 Goat anti Rat IgG (Mouse Adsorbed) antibody recognizes rat IgG. Cross-reactivity with mouse IgG has been minimised by adsorption. Yang, X. et al. (2010) The role of the JAK2-STAT3 pathway in pro-inflammatory responses of EMF-stimulated N9 microglial cells. Tamayo, J. et al. (2001) Chemical sensors and biosensors in liquid environment based on microcantilevers with amplified quality factor. Pérez-Bosque A et al. 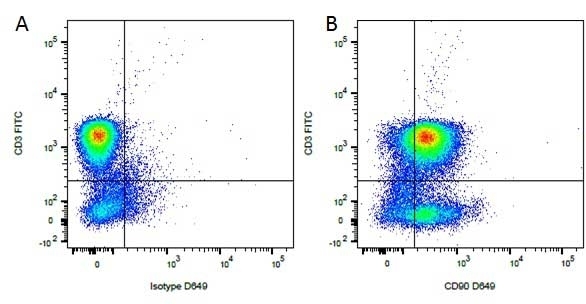 (2004) Dietary plasma protein affects the immune response of weaned rats challenged with S. aureus Superantigen B.
Balan, P. et al. (2010) Immunomodulatory effects of ovine serum immunoglobulin in the growing rat.